The natural hair movement is growing. More women, locally and globally, are embracing their natural hair and the sales for relaxers and chemical hair products are reportedly dropping. According to an article in Quartz Africa, the increase of women going natural has caused relaxer sales to drop by 18.6% during the period of 2013 and 2015. "Clicks did not give official data," Lynsey Chutel reports in the article, "but say they have identified the same trends in their stores around southern Africa." Before, we had very limited options in terms of what we could do with our hair, but now there is an array of products that can be used to nurture and maintain natural hair. 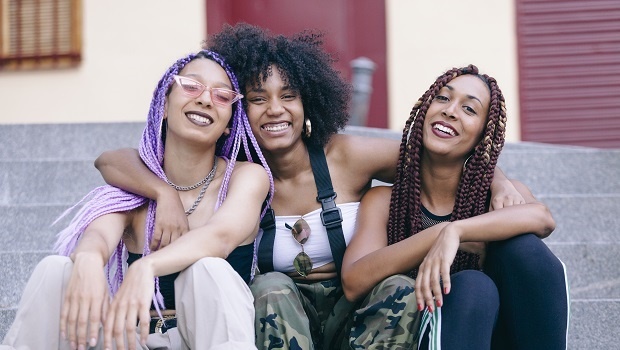 In addition to the fact that the hair care industry now better caters for women with natural hair, more women feel confident to celebrate their roots and encourage other women to do the same. As Lynsey explains in her article, this wasn't the case several years before, when 'nappy' hair "often felt like a burden" to women everywhere. These are the stats that were collected by Mintel, as reported by PremiumBeautyNews.com. READ MORE: Why am I losing my hair? We've rounded up a few articles that you absolutely need to read if you're thinking of going natural, or if you just want tips on maintaining your crown. 1. "They never knew what to do with my hair"
This one is to remind you that you are not alone in your natural hair struggles. Since people are only getting the hang of it now, and global brands are just starting to develop products specifically for natural hair, there will be times when it will feel like your natural hair has no place in the world, but it really does. Before, natural hair could be worn in only three ways: braided, tied, or just combed out. Now, you can wear your hair any way you feel like wearing it; treating it like a canvas and expression of self. The possibilities are infinite! Hair care tips from a queen herself. What more could we ask for? You probably thought there's no way you could colour natural hair, right? Well, there is, and the options are all so tempting! Many women begin their natural hair journeys by first cutting off their relaxed hair and starting from scratch. Regardless of what your reasons for the chop are, the journey to re-growing your hair and learning to love it (again) is a beautiful one. This article shares a few women's hair journeys to their 'nappily ever after'. Princess Eugenie just dyed her hair red before her wedding - could it be a shout out to her mom?